The section provides information on careers, recruitment and vacancies within County Durham & Darlington Fire & Rescue Service. Our personnel comprises of wholetime, on-call and non-uniformed staff. Wholetime are full time uniformed members of staff. The vast majority are trained as firefighters and are stationed on eight out of the fifteen Fire Stations located throughout County Durham & Darlington. 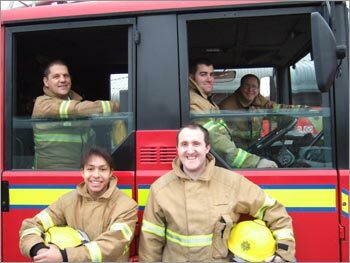 In addition there are a number of wholetime firefighters working in specialist posts within the organisation. For example, community fire safety, legislative fire safety, training, and technical support. There are also wholetime Fire Control Operators who are specially trained to receive emergency calls and to mobilise appliances and resources. 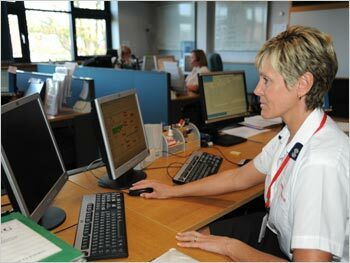 Behind the front-line firefighters is a team of dedicated support staff keeping vital services running smoothly. County Durham and Darlington Fire and Rescue Service needs dedicated specialist staff to provide support to the uniformed operational personnel who are at the forefront of the service fighting fires and performing essential and statutory fire safety duties. Non uniform staff work in vital support and administration roles enabling the service to provide an efficient, cohesive rescue service as well as promoting safety throughout the community and training to commercial organisations. We have over 80 members of non operational staff working within the Service. Applicants must complete an application form and demonstrate that they are able to meet the essential and desirable criteria to be found on the person specification for the post. For more information on any of the roles above please contact the Human Resources team: #HumanResources@ddfire.gov.uk . 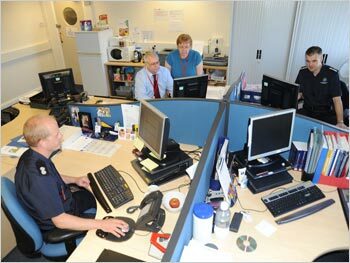 Fire Control Operators in the Command and Control Centre handle almost 20,000 emergency 999 calls per year: ensuring that crews, officers, fire engines and equipment are dispatched to where they're needed. Fire Control Operators need to be effective, confident communicators, remaining calm under pressure. These skills are particularly important when trying to extract vital information from callers about the severity of incidents and where they are in County Durham and Darlington, then communicating this information to firefighters. Fire Control Operators stay on the phone, assessing the risks posed to the caller and giving fire survival advice in what can be very stressful, life-threatening situations. They also perform a vital role, communicating between crews attending incidents and other emergency services and authorities who need to attend - such as the Environment Agency, if for example, chemicals are involved that can pose a threat to people, property or the environment. They are encouraged to identify possible malicious false alarm calls. These are not just a nuisance, they can be life-threatening because crews attending these false alarms will be unavailable should a genuine incident occur at the same time.